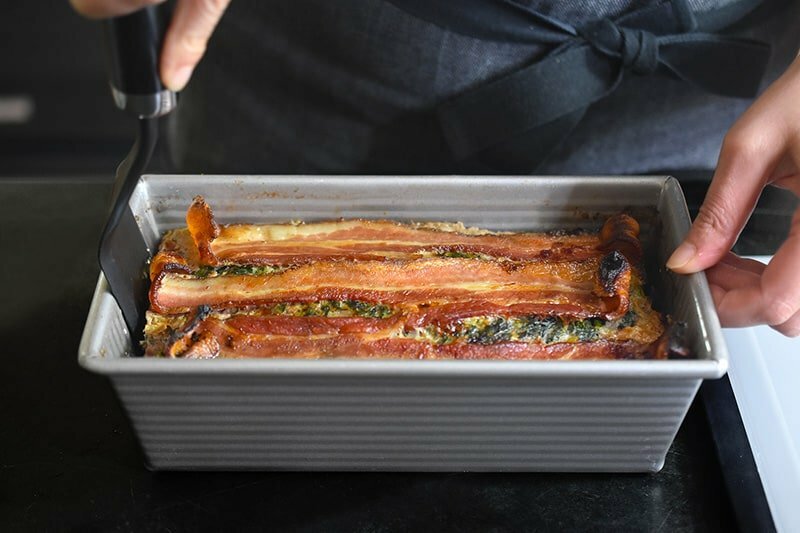 This super easy and tasty paleo meatloaf is nut-free, Whole30-friendly, and packed with meat and veggies for a simple all-in-one weeknight meal. Our family loves this ground beef meatloaf so much that I normally bake two at a time so I have an extra one to eat for leftovers! 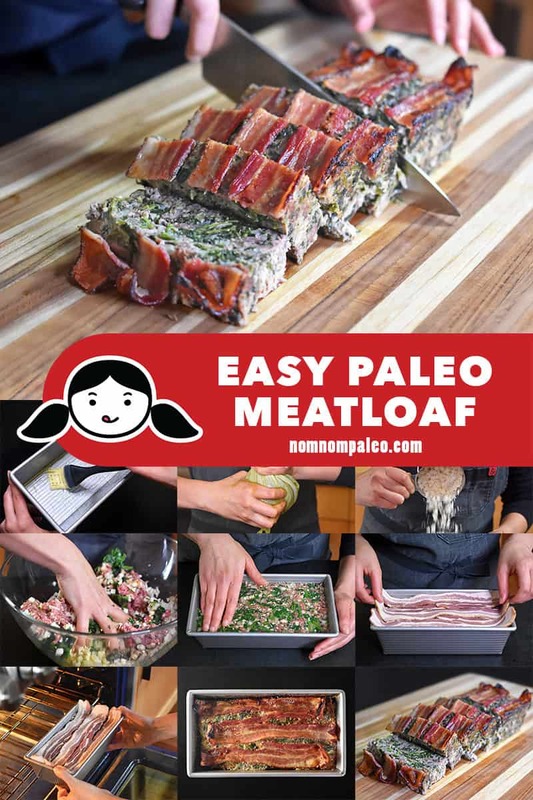 My goal was to develop a paleo meatloaf recipe that’s crazy-simple and economical to throw together using staples from my fridge and freezer—and I’m thrilled with the results! The kids love this meatloaf recipe and don’t even notice that half of it is made out of vegetables. I think it’s because they’re too busy fighting over the crispy bacon on top! Cauliflower rice to the rescue! 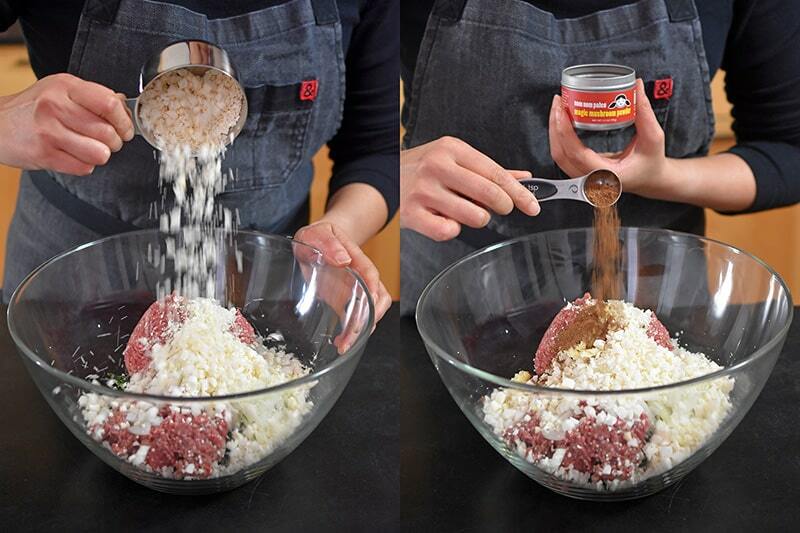 Traditionally, breadcrumbs are added to meatloaf as a filler to stretch out the meat and to make the texture less dense. Many paleo meatloaf recipes call for almond flour in place of breadcrumbs, but I wanted to use a nut-free filler to improve the consistency. While leafing through an old cookbook, I found a meatloaf recipe that recommended using leftover rice as a filler and that’s what inspired me to use riced cauliflower in this recipe. It works great, and the kids don’t even notice the extra vegetables! I’ve done some experimentation, and found that fresh riced cauliflower works better than frozen because less liquid is released after the meatloaf is cooked. 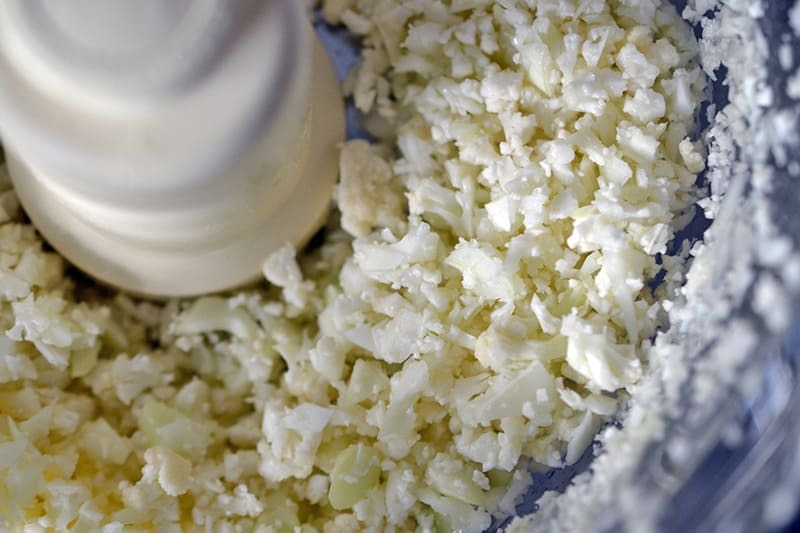 If you do use frozen riced cauliflower, be prepared for a little more residual liquid in the pan. Yes, but it’s easier to thaw two 10-ounce packs of frozen spinach! I always have frozen spinach or kale in my freezer because I’m too lazy to wash or chop the greens. If you plan on making meatloaf later in the week, just throw the packs of frozen greens in the fridge to thaw the night before. If you are substituting fresh spinach, use 2 pounds of it because the greens will cook down dramatically. After rinsing and draining the spinach, toss it in a hot skillet and cook it in only the water clinging to the leaves. 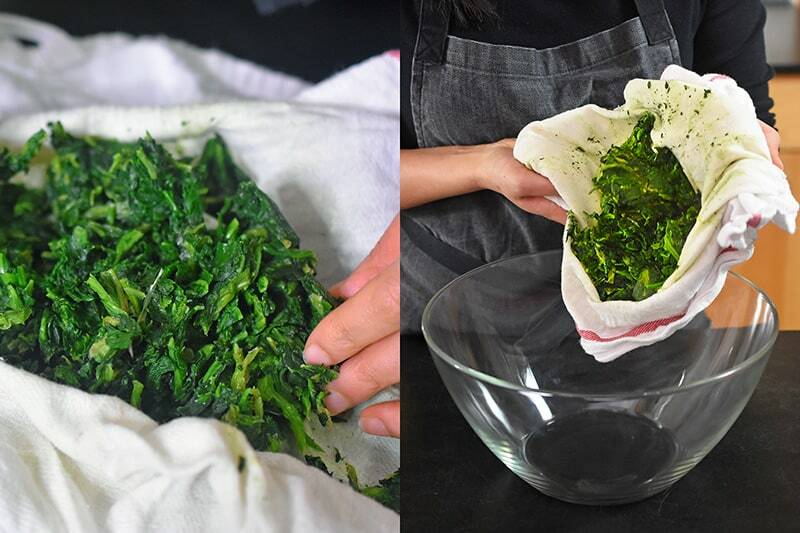 Once the spinach has wilted, remove it from the pan and finely chop it up. 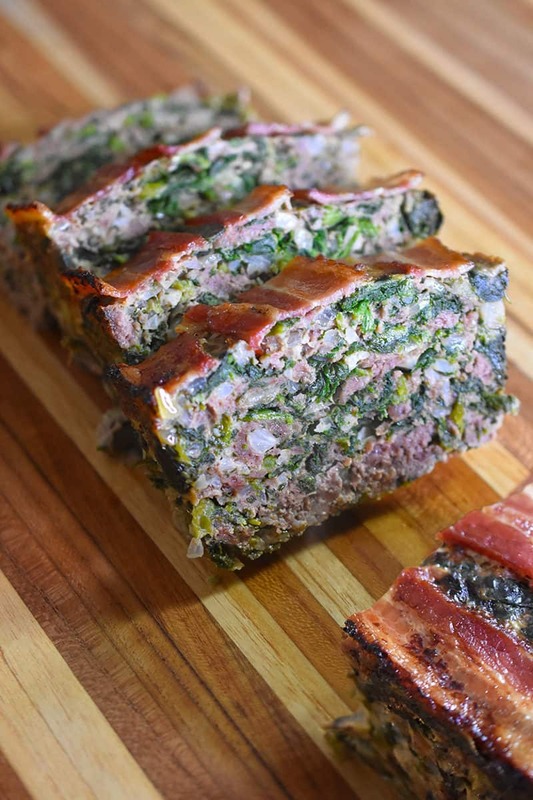 Cool the chopped spinach to room temperature before adding it to the meatloaf. Do other ground meats work in this recipe? You can definitely use another ground meat—just make sure it’s not super lean. I’ve also made this meatloaf with a combination of ground pork and beef, and the results are delicious! What are good side dishes to serve with this meatloaf? 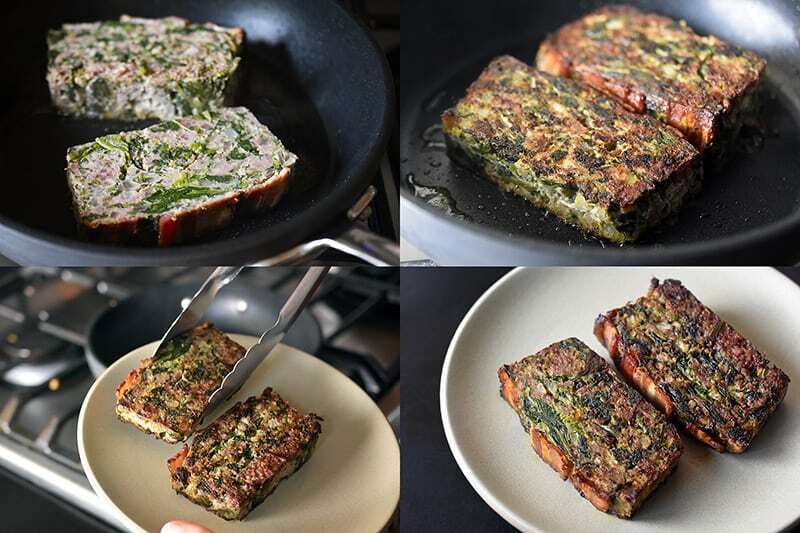 Simple vegetable dishes are the best thing to serve with this meatloaf. I like accompanying it with a green salad, broiled asparagus (you can cook them in the oven while the meatloaf is resting), or a yummy vegetable soup (like Carrot Cardamom Soup). Heat the oven to 350°F with the rack in the middle. 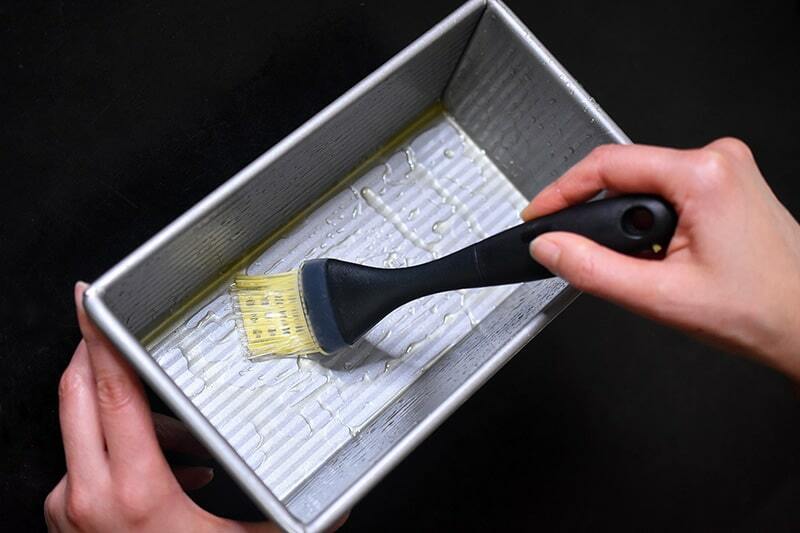 Use a brush or paper towel to grease the interior of a 9- x 5-inch loaf pan with olive oil or your fat of choice. 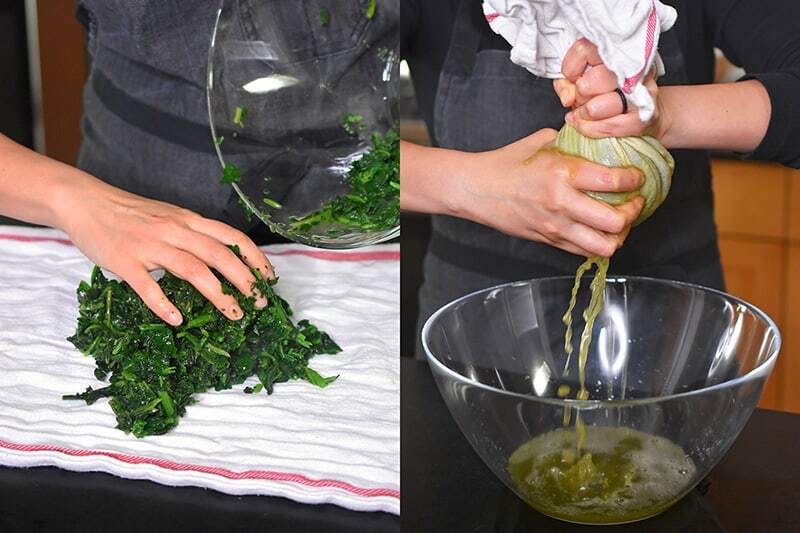 …and whisked eggs to the spinach. 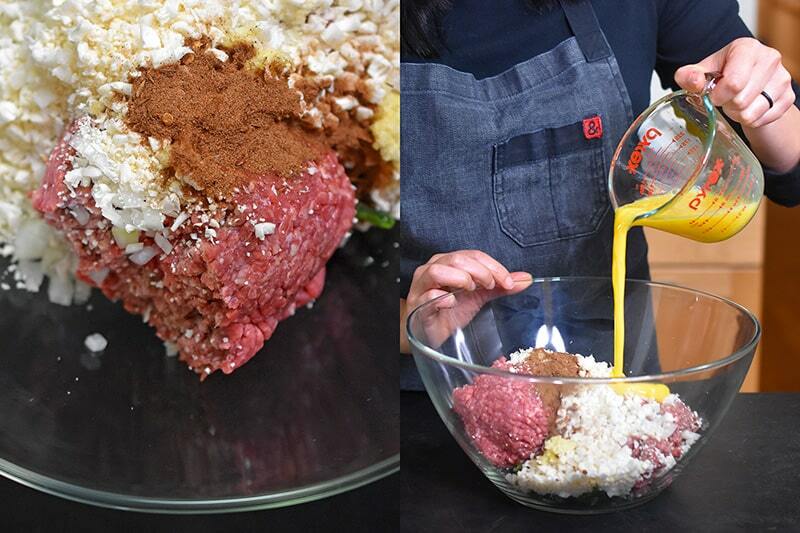 Use your hands to gently mix the meatloaf mixture to combine everything. 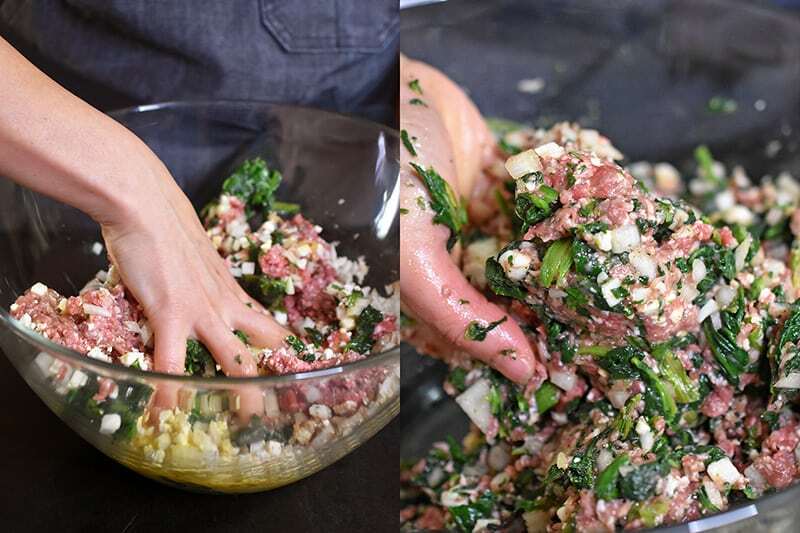 Transfer the meat and veggie mixture into the greased loaf pan and flatten the top with your hands. 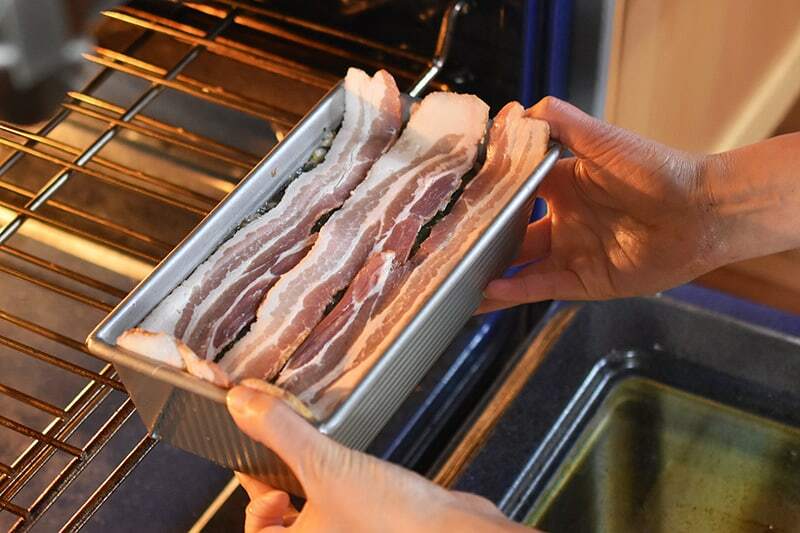 Cover the top with the three slices of bacon. Pop the meatloaf in the oven and bake for 50 minutes or until cooked through. The meatloaf should come away from the sides of the pan and the internal temperature should be at least 160°F. 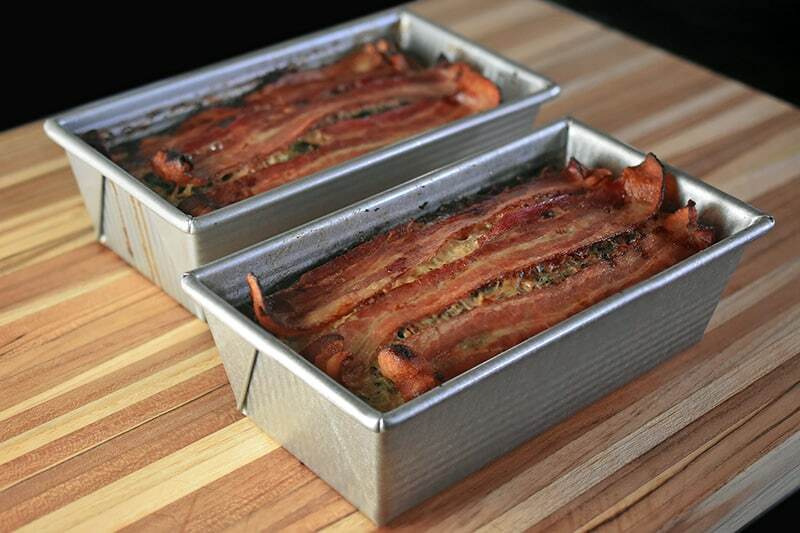 Then, turn on the broiler and cook the meatloaf for 5 to 10 minutes or until the bacon is crispy on top. Take the meatloaf out of the oven and rest it for 10 minutes. Slice and serve with warm marinara sauce, if desired. Happy eating! Oh, and before I forget: two final questions and answers on what to do with the leftovers! How do you save any leftovers? I keep leftover meatloaf in the fridge for up to 4 days or tightly sealed in the freezer for up to 4 months. Pro tip: double the recipe and make two loaves at a time because it’ll take the same amount of time to cook twice the food! How do you reheat the leftovers? 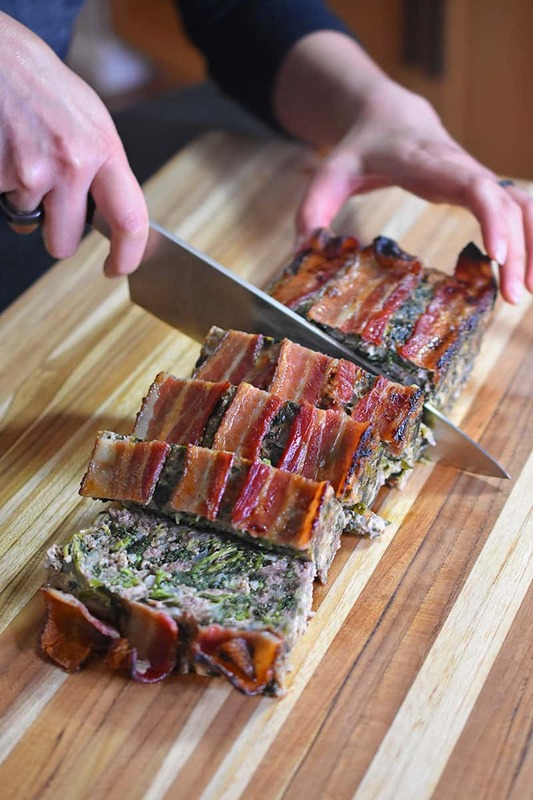 Slice up the meatloaf into ½-inch slices and pan fry them in some fat over medium heat until browned on both sides. I actually like these toasty meatloaf slices better than the ones fresh from the oven! Want more inspiration from my past January Whole30s? Check out my Day 23 posts from 2018! 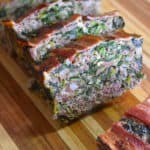 This easy and tasty paleo meatloaf is packed with ground beef and veggies for a simple all-in-one Whole30 family-friendly weeknight meal! Add the beef, onions, cauliflower, garlic, Magic Mushroom Powder (or Diamond Crystal kosher salt), and whisked eggs to the spinach. 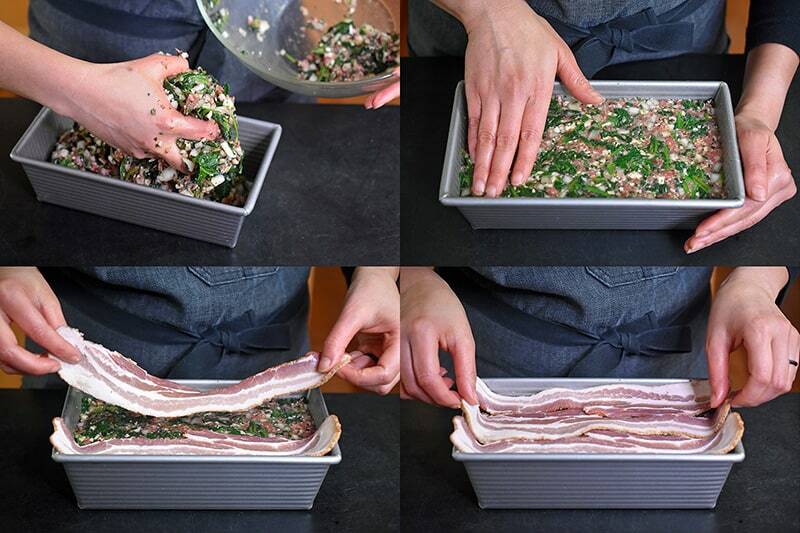 Transfer the meat and veggie mixture into the greased loaf pan and pat flat with your hands. Place the three slices of bacon on top. 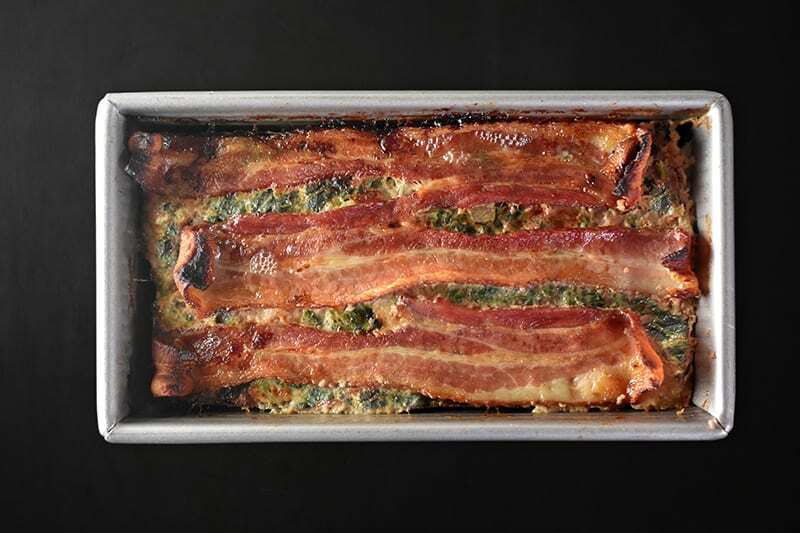 Turn on the broiler and cook the meatloaf for 5 to 10 minutes or until the bacon is crispy on top.